OMAHA, Neb. — The Nebraska Medical Center is investigating its staff after the Wednesday death of a toddler from Texas who was given an overdose of Heparin, a blood-thinning drug. Everyone makes mistakes. I routinely check my take-out orders before leaving a restaurant and check my receipt for the sale price before leaving a store, much to my husband’s embarrassment. Recently, two mistakes at a local pharmacy made me thankful there are people like the Jerrys who fight for all of us. 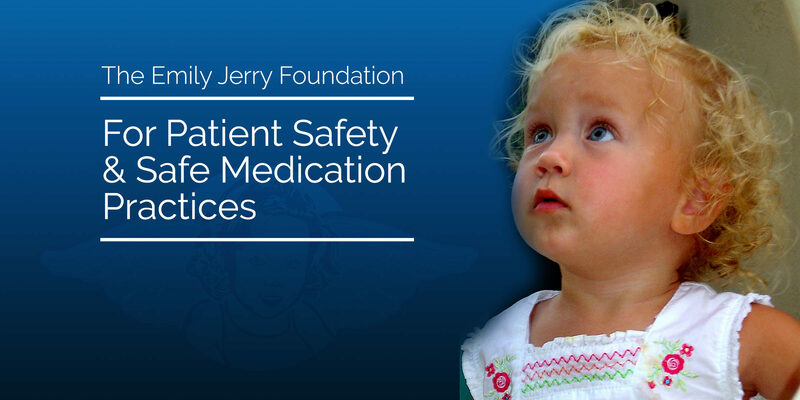 A February 26, 2006, Cleveland, Ohio, pharmacist’s error in mixing medication for two year old Emily Jerry took her life. Criminal prosecution of the pharmacist has generated detailed newspaper reports. Here is a sobering thought. A pharmacist makes a mistake. The error results in the death of a patient, and the pharmacist is charged with negligent homicide. He is found guilty of involuntary manslaughter and faces up to 5 years in prison and a maximum fine of $10,000. Of course, his pharmacist license is revoked and chances are he will never work in the profession again. His crime? He did not check the accuracy of calculations used by a pharmacy technician under his charge to compound the concentration of sodium chloride in a prescription for a cancer chemotherapy solution.